Bringing home baby means more stuff and no matter how hard to try to keep it to a minimum it is easy to get overwhelmed. Whether you are into minimalism because you want to live without being dependant on possessions, for environmental reasons, or financial it is possible to live more with less stuff for kids. If you want to keep the influx (baby shower! hand me downs! keepsakes!) to a bare minimum it is best to find essentials – thoughtfully designed, multipurpose products that are incredibly useful, functional, durable and that will last a long time and make life easier for you and your little one. Here are our top picks for the minimalist parent. 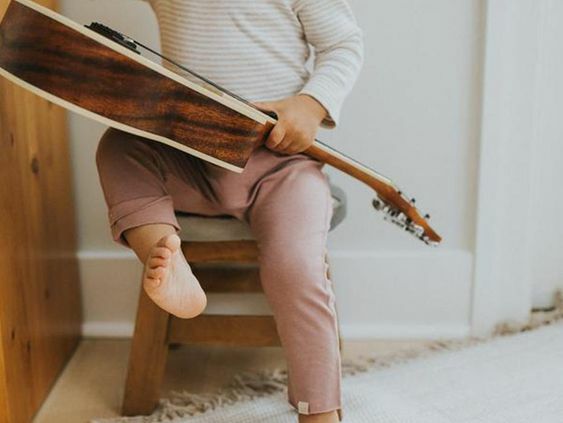 Selected for versatility, durability and longevity, here are our top 10 picks for multipurpose products that help you live like a minimalist parent, even with a baby or two. They will never break, corrode or deteriorate and they are easy to clean. High quality silicone means they are safe for growing bodies, and they are rigorously tested for safety. One ezpz Happy Mat and one ezpz Happy Bowl is all a child needs for tableware from 12mo until 4yo (and up.) We love all the ezpz products for their versatility but the bowl is probably the most useful in the long run. Great for infants starting purees, good for finger foods and wonderful for self-feeding toddlers (they have suction so they stick to the surface, preventing accidental tip-overs). 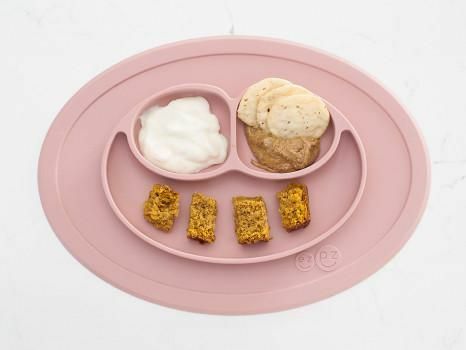 The ezpz Happy Bowl is also perfect for snacks for kids in the 2-4 range and for anything where you might need liquids like dips, water for crafts, bubble blowing solutions. Bonus: parents can avoid that cupboard full of mismatched and broken kids bowls and plates, and the ezpz products are stackable and take up very little space. 2. Nest Designs Bamboo Muslin Blankies. Incredibly useful, there is a reason these multipurpose blankies are so incredibly popular. Use for swaddling, as a nursing cover, as a stroller cover or carseat canopy, to sit on at the park, to lie down at home, provide warmth, wipe drool, on and on. The Nest Designs blankies are bamboo muslin blend, so they get softer with every wash, and come in unisex and monochromatic prints that are less “baby.” Bonus: Bamboo is a ‘rapidly renewable‘ raw material, it can sustain its growth with just rainwater, pesticides are not required and these blankets will eventually decompose into reusable nutrient rich composted soil. Unisex, utilitarian and convertible plus lightweight and compact, The Boken diaper bag weighs only 0.4 Kilograms, so it won’t weigh you down. It folds into a small zip pouch for storage and travel and takes up very little space. It is easy to clean, and converts from a messenger to a backpack in a flash. If you want to keep organized, the pockets are all placed perfectly for quick access and well sized. An ideal travel bag, even for grown ups. Bonus: this is one bag you will use long after your little one is out of diapers. These incredibly gorgeous and well-made bonded leather mats are as functional as they are beautiful. Incredibly useful, you will use your Gathre mat constantly. Wipeable and waterproof they are perfect for a multitude of messy situations. Sandy beaches or muddy campground seating, picnics, playtime at home, under the highchair, table cloth, baby changing, airports, bottom of the wagon, crafts, parties, under the christmas tree, yoga, playroom, placemat. We’ve used it to block light from a window in a pinch. Bonus: they are compact, and lovely enough to have hanging in your front hall (like we do). 5. A quality woven wrap, like a Cotton Didymos. Ready for versatility? A woven wrap is by far the most multipurpose product when we are talking about transporting baby from place to place. There are a million articles online about the benefits of baby wearing, but besides that, a solid woven is usable for carrying your child from birth until 3yo or so. (Depends on the size of your kid). “It’s a blanket or pillow of course, but it’s also a hammock, a swing, a high chair and shopping cart cover and padding, a nursing cover or sun shield,” a lovely or a blankie for comfort and it can be made into a pillow when your little one grows up. You can also wrap that pregnant belly for support, and use as a rebozo during labour. Bonus: a Didymos woven also makes public transportation, fussy periods and housework a lot easier. 6. Multipurpose natural butter or balm. We chose CJ’s Bum Butter, but any good quality butter will do. When I was pregnant, I rubbed this on my stomach to prevent stretch marks, my face and cuticles for moisture and my tired and aching feet. For babe it is good for diaper cream, eczema, baby acne, bug bites, cradle cap, dry skin, chapped lips, cuts, scars, and rough knees from marathon crawling sessions. A large tub lasts for ages and it is safe for cloth or disposable diapers and won’t stain your clothes. Bonus: contains no sulfates, parabens, phthalates or gluten. You could also use coconut oil of course, but I find this absorbs much better without the greasiness. Cloth diapers are way easier and way less gross than you might think. If you are trying to cut down on costs, an initial investment of 12-20 diapers will set you back a couple of hundred dollars, but you won’t be shelling out $30 a week (or more) for 3 years. 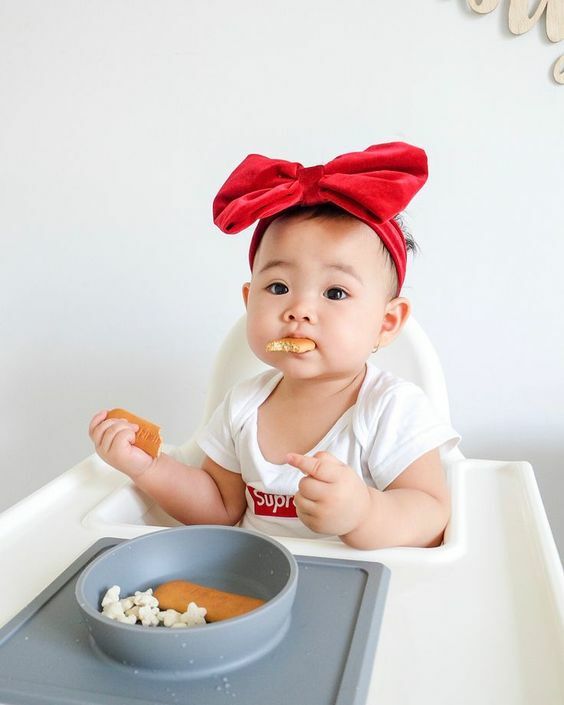 One sized cloth diapers (Applecheeks, a Canadian company seen here) are the most versatile, as they resize to fit an infant from about 10 lbs until you are ready to potty train – provided your little one is trim and less than 35lbs. Cloth keeps baby from chemicals for sure, and possibly prevents diaper rash. Environmentally, of course it it is a win-win. At our house we went 80/20 cloth and disposable and it was the best for our family. Strictly cloth was too restrictive, and we figure any disposables saved from landfill is worth it. Bonus: cloth diapered babes tend to potty train early. These iconic Canadian slippers are made of wool and dyed and crocheted by hand. Durable, washing machine safe, these can be passed down or resold easily. Wool is “thermostatic, meaning it has a unique inbuilt climate control. It both breathes and insulates keeping your feet warm in winter and cool in summer. “ So these slippers can be worn year round. Padraig Cottage has a remarkable reputation for their level of commitment to the environment and local communities that help produce the materials needed to make a pair. Bonus: (this is a big one) They are meant to stretch as babe’s foot grows, meaning each pair will get you through two sizes. And since shoes are not even necessary until your little one is walking, this might be the only pair you need. 9. KOOSHOO Expandable kids pants. 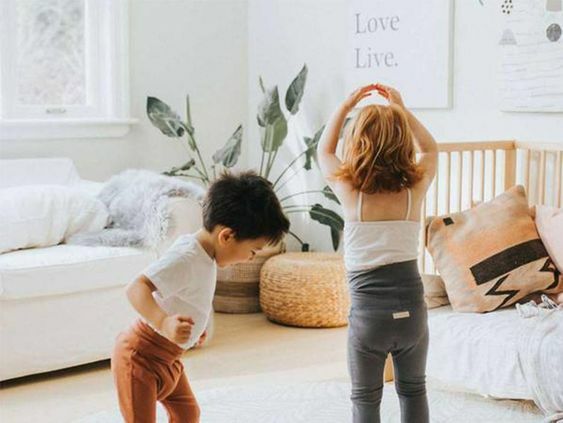 These cute children’s pants are made with Pesticide-free, durable and ultra soft organic cotton and they fit 3x longer than other kid’s pants. The high performance fabric is durable so they won’t get destroyed by crawling or outdoor play, and an expandable waistband and cuffs means they will fit diapered bottoms, cloth diapered bottoms and undies. Unisex designs mean you can pass them onto the next child in the family too. Ethically made in India, dyed by hand and built to last, Kooshoo is a brand making a difference environmentally too. By focusing on maximizing versatility, parents can live with less, and spend less money on clothing babe too. Bonus: considering how quickly kids grow out of their clothes, finding a pair of pants that will fit 6-18mo is pretty extraordinary. While the POP pacifier might not have the myriad of uses the others do, it is practical and incredibly useful. Primarily, this is a soother (a very well designed one) and it doubles as a teether. Before I became a mom, I just figured “my child will not take a soother.” But, parenthood – sometimes with babies, you have a change of heart. If you end up with an passionate-suckler like mine and you resort to a pacifier to stay sane, the POP by Doddle & Co. is the best choice. It is safe, non-porous and all of those good things, but it also Pops into its own protective shell when it drops from babe’s mouth. Bonus: not having to rotate out dirty ones, you are going to need to buy a lot fewer pacifiers. Are you a minimalist parent? Have any products that have helped you out? Share with us on Instagram! Looking to buy the products listed above? Find an independent, Canadian baby boutique near you. The most versatile feeding product, for use with children 9mo – 4 yo. Unisex, multipurpose and elegant bamboo blend swaddle-and-more blankies for baby.